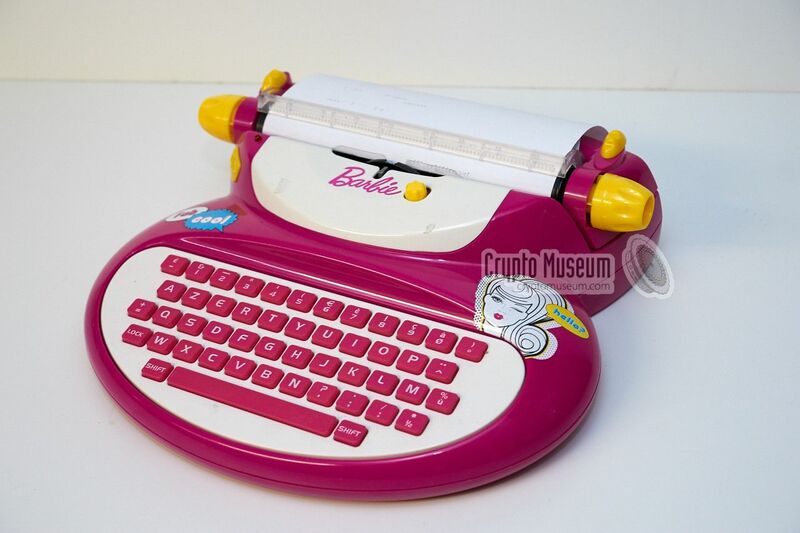 The Barbie Typewriters are low-cost electronic typewriters developed as a children’s toy by Mehano in Slovenia (formerly Yugoslavia) and sold worldwide by Mattel. Crypto Museum: Apart from a range of typesetting features, such as letter-spacing and underline, this children’s toy was capable of encoding and decoding secret messages, using one of 4 built-in cipher modes. 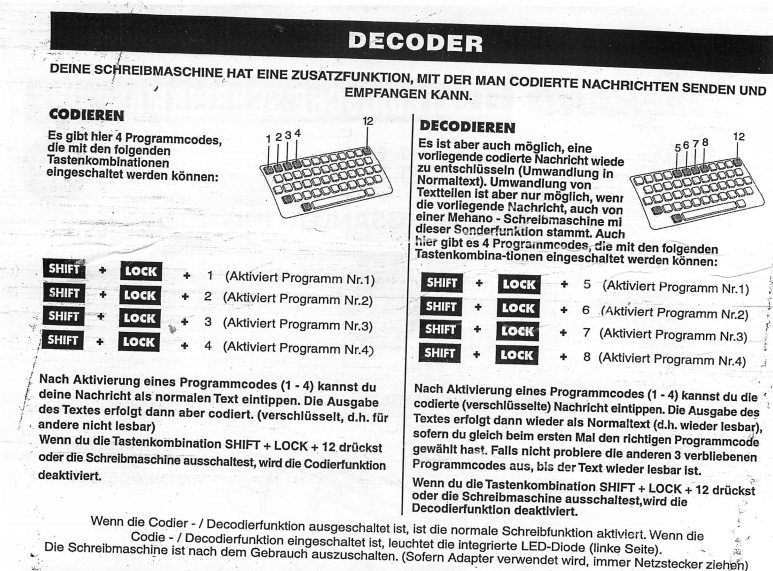 These modes were activated by entering a special key sequence on the keyboard, and was explained only in the original documentation. When the E-115 was adopted by Mattel as an addition to the Barbie™ product line, it was aimed mainly at girls with a minimum age of 5 years. For this reason the product was given a pink-and-purple case and the Barbie logo and image were printed on the body. As it was probably thought that secret writing would not appeal to girls, the coding/decoding facilities were omitted from the manual. Nevertheless, these facilities can still be accessed if you know how to activate them. 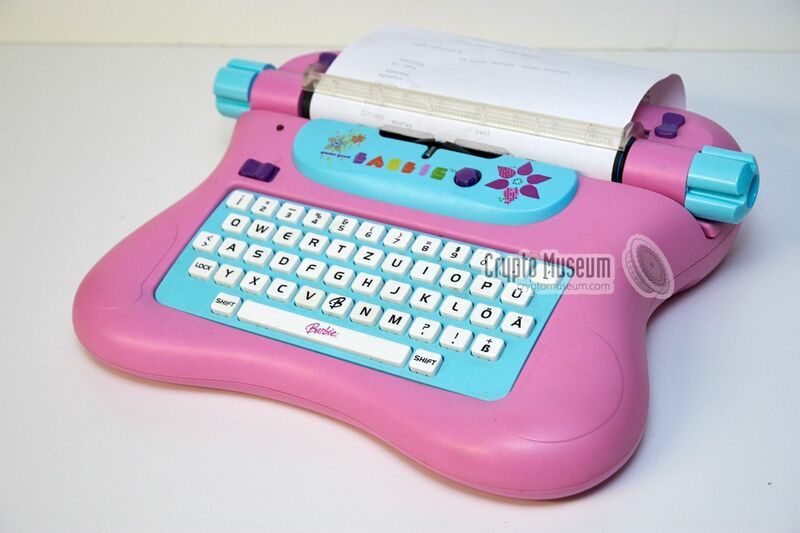 The original Mehano typewriter — Mehano is a Slovenian toy company that produces a range of traditional and electronic toys. They are particularly known for their range of model trains and other railroad equipment. What I learned about languages just by looking at a Turkish typewriter, by Marcin Wichary, Design lead & typographer at Medium. ‘Daftmike’: It was inevitable… I have a Raspberry Pi, I have a 3D printer, I’m a huge nerd… At some point I was going to print a case for it in the shape of the old Nintendo Entertainment System. Amos Dudley made made his own 3D printed camera, with lens. He has even made the design files available for download so you can print your own. SLO is a single lens objective. SLO is the mechanical shutter. SLO is the speed of good design, and the feeling of capturing life with a camera you made yourself. A 3D printed camera body could look like anything, but I decided to optimize the design for printing speed and material usage. Most of the larger parts are designed without overhangs in one orientation, so they can be printed without supports, straight off the build platform. Separating the body into modules let me prototype each component individually. 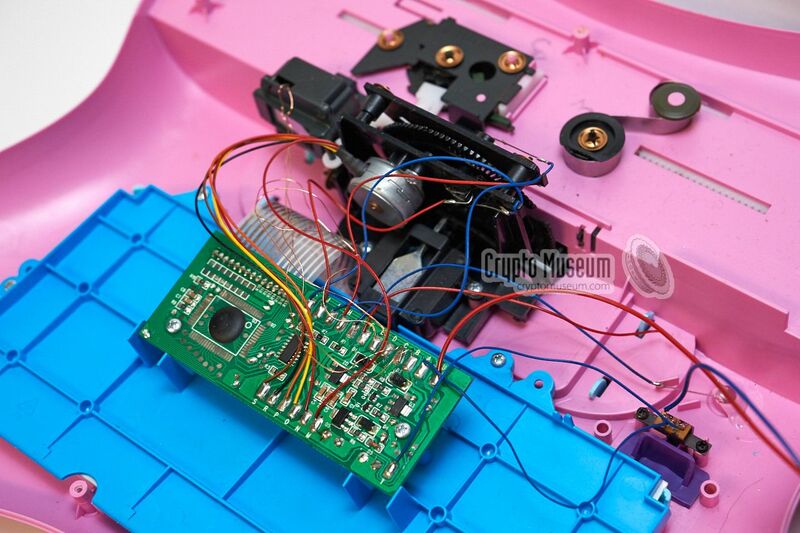 The shutter and lens are modules, and can be swapped out for different designs without reprinting the entire camera. Creating a lens with a 3D printer is a challenge – your typical FDM printer won’t cut it here. […] The result was mixed- the lenses looked transparent, but weren’t optically sharp. Surface reflections were still blurry, which is a sign that a surface still has microscopic grooves that scatter light. There’s no adjustment for shutter speed, except for the speed the button is pressed by your finger. See more photos taken with the SLO on Flickr, shot on Fujicolor Superia 400. 35mm is the most common film standard, and the natural choice for the SLO. It’s also the only film size that’s still relatively easy to get developed at a reasonable price. The choice of a film size informs many aspects of a camera’s design and function. Analog Photography Meets Digital Fabrication: Photos from a Fully 3D Printed Camera — See some outdoor photographs taken with the SLO. Creating Camera Lenses with Stereolithography — Formlabs Clear Resin and stereolithography (SLA) 3D printing can create transparent objects that, with some post-processing, can be made optically clear. The Next Web: Amazon’s Echo is a nifty little gadget that’s powered by the company’s Alexa voice assistant and listens for voice commands to do things like order your groceries, update you on the weather and play your favorite tunes. The only problem is, it costs a pretty penny — $180 to be precise. Thankfully, you can build your own for about $60. 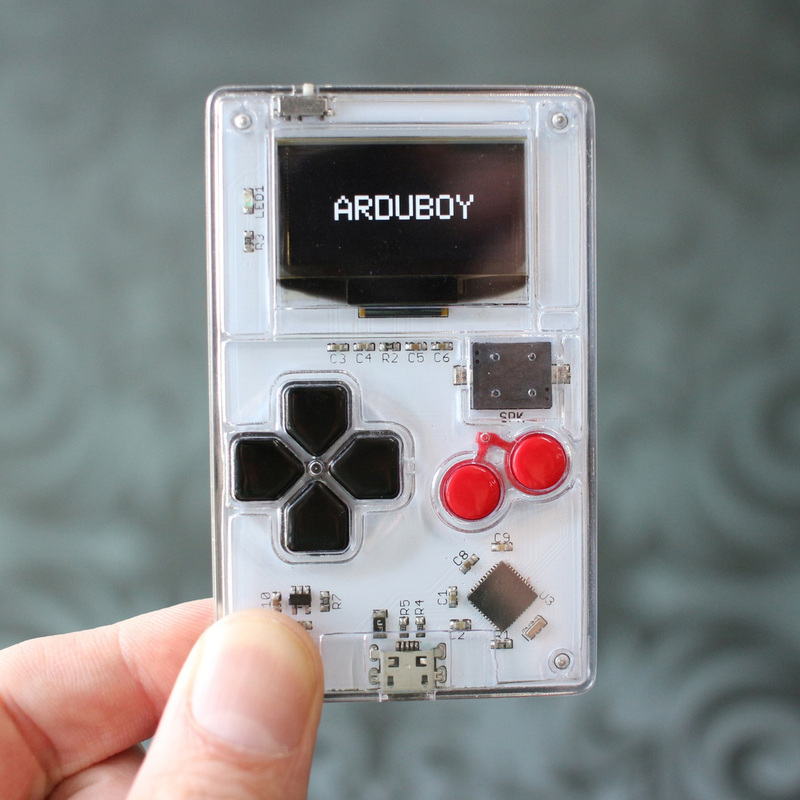 This guide provides step-by-step instructions for obtaining the sample code, the dependencies, and the hardware you need to get the reference implementation running on your Pi. A USB Keyboard & Mouse, and an external HDMI Monitor – we also recommend having a USB keyboard and mouse as well as an HDMI monitor handy if for some reason you can’t “SSH” into your Raspberry Pi. More on “SSH” later. SnapPiCam & Otto: Two Raspberry Pi camera projects. …and other posts tagged ‘Raspberry Pi’. This February 29th the Raspberry Pi will be four years old. Matthew Timmons-Brown (aka The Raspberry Pi Guy): I was an 11 year old school boy when I first heard about the Raspberry Pi in 2011. It seemed pretty darn cool that I could own a personal computer for under £30. I followed the progress of this little British invention for the next 6 months, a total novice, and witnessed the launch on the 29th February 2012: the world’s affordable computer had been born.